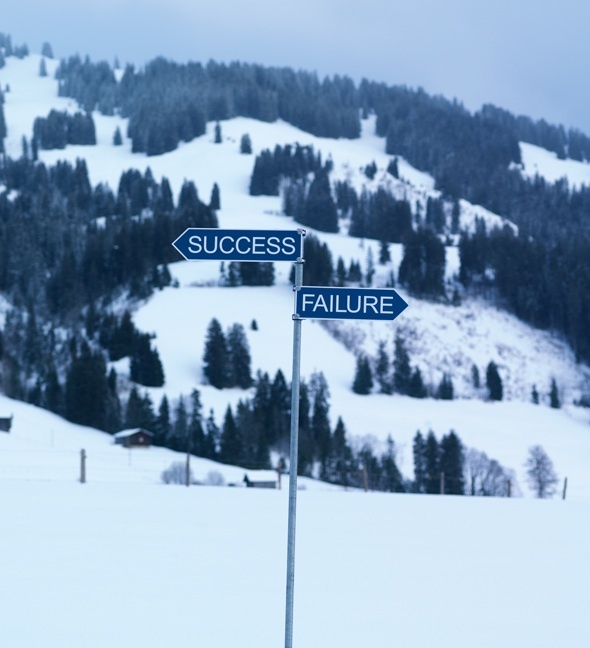 GSTAAD, Switzerland – The otherwise quiet Swiss ski station of Gstaad is back in the news for its public works of art. 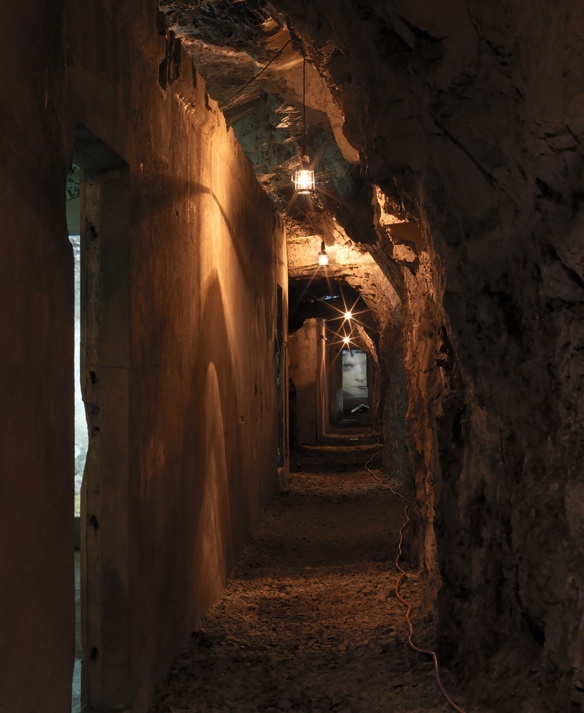 Elevation 1049 are a series of very cool, site-specific, outdoor exhibits by 26 Swiss artists that include films in caves, coloring snow and laser light displays. The free public exhibit gathers prolific Swiss artists -most of them residing abroad- and their interpretation of “above and below” as in land and sky or heaven and hell. 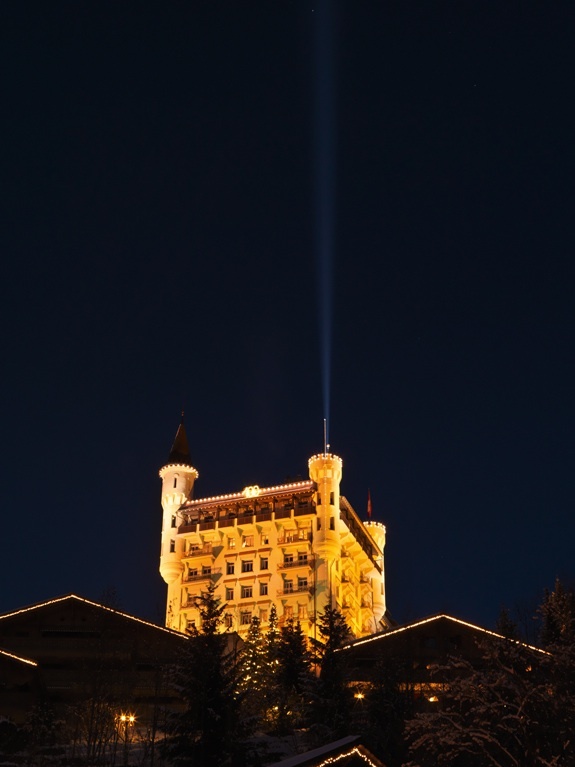 The art works have been placed at various altitudes and settings in, below and above Gstaad (see map below). A few of the exhibits are static, others are interactive or performance art. 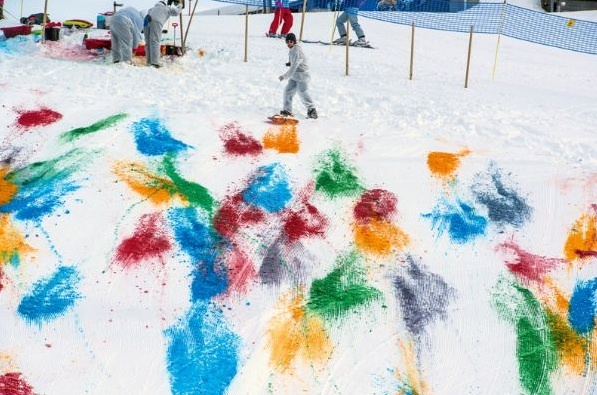 Olaf Breuning for example colors snow from 10:00 to 12:00 daily in Gstaad. 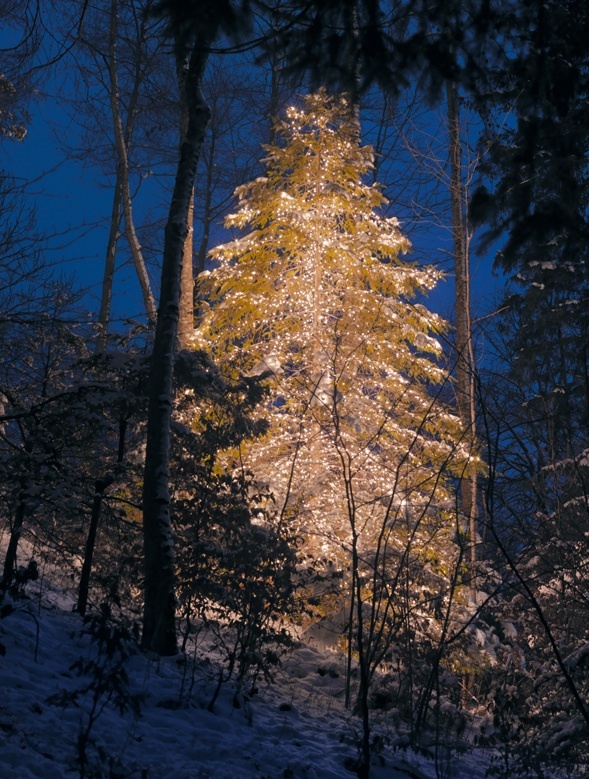 The exhibit includes films broadcast in buses, ski lifts and other public spaces. Such is the case of Not Vital who travels the world and lives part of the year in the Chilean Patagonian. One of the coolest things is that you will find works of art in unexpected places. According to organizers, the last two decades have been witness to an “efflorescence of Swiss art unlike any since Dada,” with the number of Swiss contemporary artists surpassing the number of those in France, Spain and Italy combined. Check the Elevation 1049 website for schedules and more details.